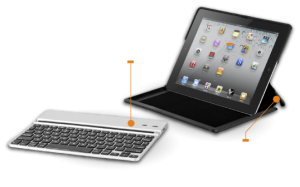 ZAGG offers a variety of iPad / iPhone / iPod accessories, cases and skins. About the contest, “On Black Friday, November 25, 2011, starting at midnight (MST), we’ll be giving away an iPad 2 every hour. 24 iPad 2s over 24 hours. Each hour is a new opportunity to enter the giveaway. So yes, you need to go to the giveaway page each hour and enter. For more information visit ZAGG – iPad an Hour Giveaway and on Black Friday visit this link to try and win.